See my latest publications here. 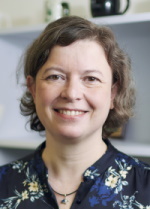 Eszter Hargittai is Professor in the Institute of Communication and Media Research at the University of Zurich where she heads the Internet Use and Society division, previously called the "Web Use Project". She is also Fellow of the Institute for Policy Research at Northwestern University. Hargittai is editor of Research Confidential: Solutions to Problems Most Social Scientists Pretend They Never Have" (University of Michigan Press 2009), which presents a rare behind-the-scenes look at doing empirical social science research and co-editor (with Christian Sandvig) of Digital Research Confidential (The MIT Press, 2015), which presents more behind-the-scenes experiences of social scientific research in the digital age. For more background information, see this feature article in the Princeton Alumni Wekkly.